← we threw a shower. Nothing says festive like popping something in your mouth that’s so hot you can’t talk to anyone for the rest of the night cause you’re too busy sitting in the corner crying. Welcome to my home! 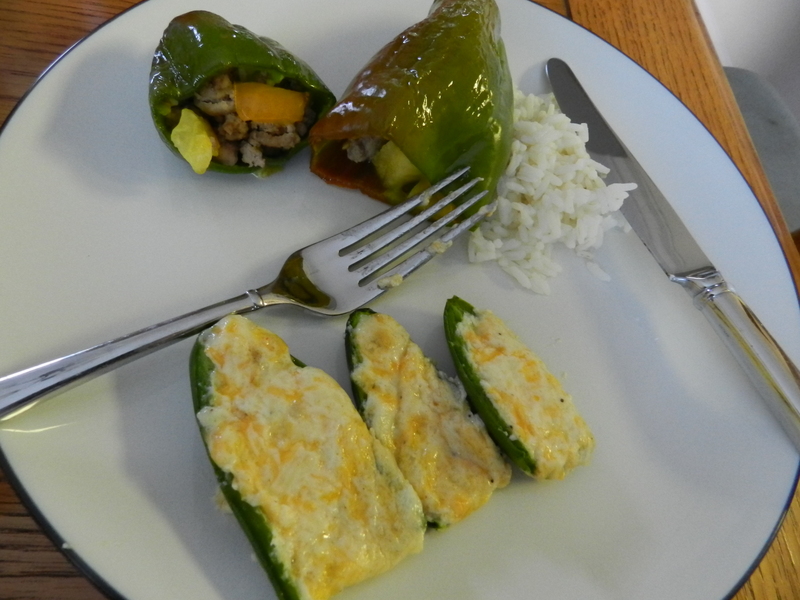 Here is the real advantage to the jalapeno popper, as I see it in my dietitian eyes. Dips need a means to get into your mouth, right? Cracker, bread, chip, pita— whatever it may be. If a vegetable becomes the means to get the goodness in your mouth, you’re saving calories, fat, and eating a vegetable all at the same time. Win, win, win in my book. Y’all, a jalapeno pepper has 6 calories in it. Six. So that means when you eat one jalapeno popper [half a pepper] you’re getting 3 calories from the dip-delivering-vehicle vs. 15 calories that are in a tortilla chip. Lawyered. [Any How I Met Your Mother Fans??] 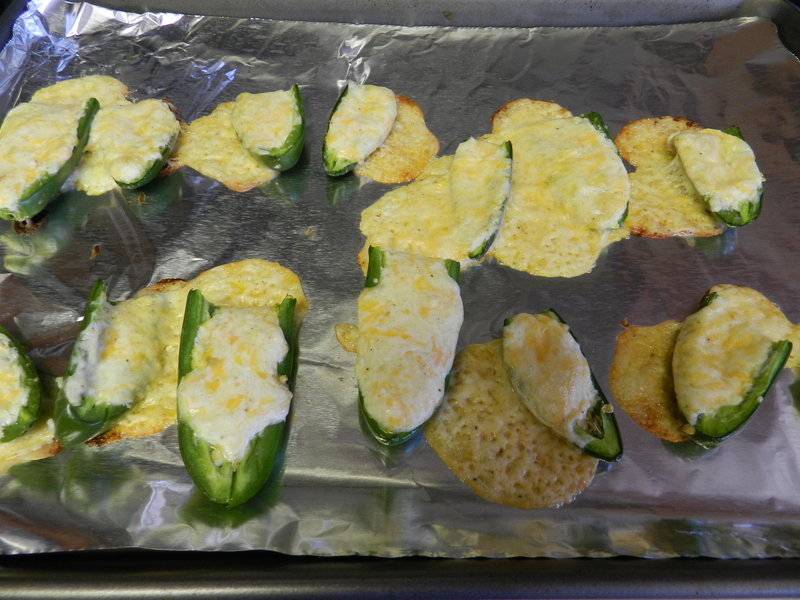 And most of us will eat many fewer jalapeno poppers than chips and dip. Don’t get me wrong, I love chips and dip, too, but today I’m pullin’ for the jalapenos. 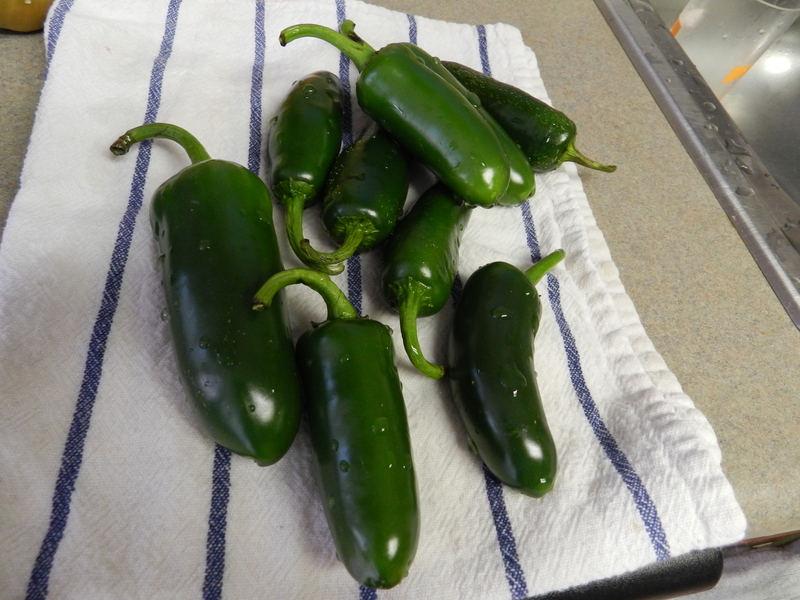 Wash the jalapenos thoroughly. You always want to wash your produce really well– especially if you’re eating the outside like we are here. Cut their tops off. Then you want to cut each pepper in half and remove the seeds and membranes. I forgot to take a picture of that part. I also forgot to take a picture of my cheese mixture and stuffing of the peppers. But here they are right after I slid them into the oven. Please ignore my dirty oven. 3. 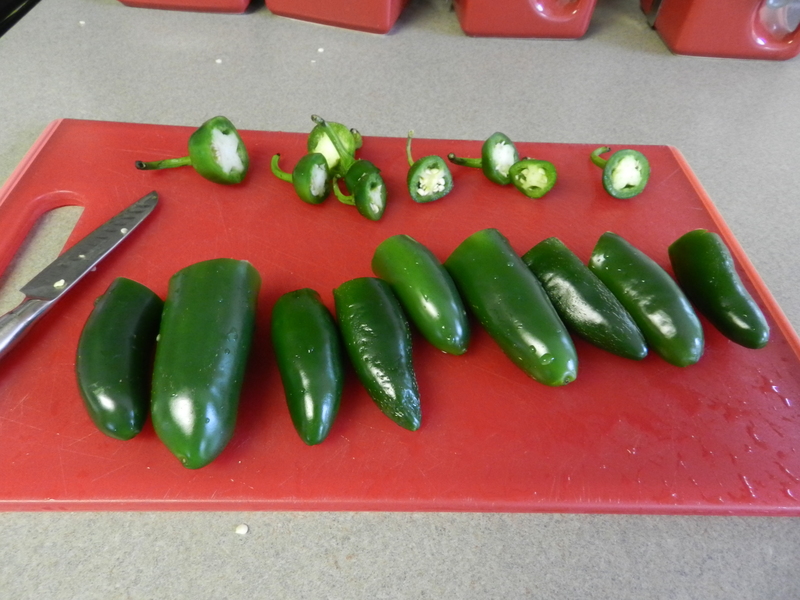 Cut off tops to jalapenos & then slice each jalapeno in half. 4. Remove seeds & membranes. 5. 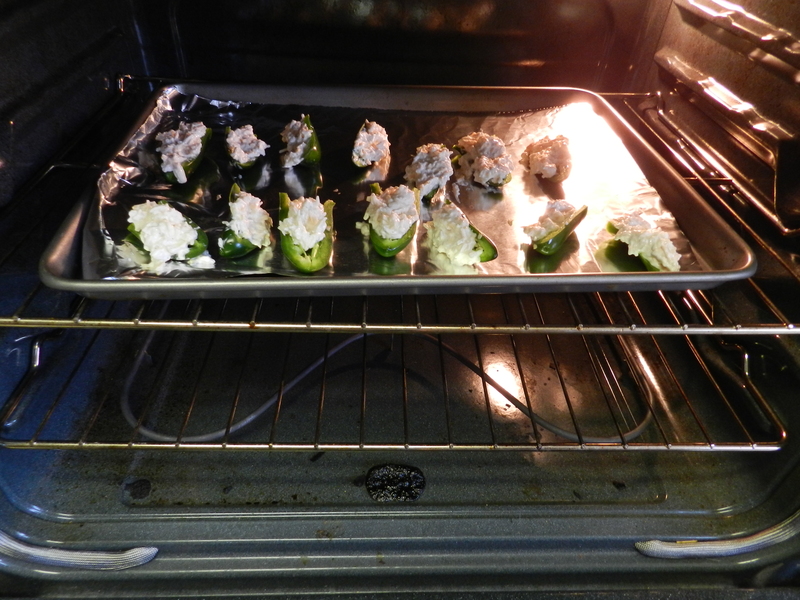 Lay jalapeno pepper shells on lined baking sheet. 8. Fill each pepper shell with mixture. 9. Bake for 15-20 minutes or until cheese gets a nice golden tone to it. 10. Remove from oven and enjoy! Serve with salsa, if you like.